New York Fries is giving away Free Fries in this SnapChat Giveaway! 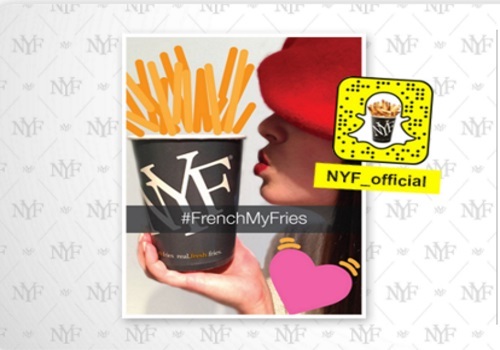 Be one of the first 100 fans to SnapChat a pic or video of you "kissing" your New York Fries to NYF_Official and tagged with #FrenchYourFries to win a coupon for Free Regular Fries. Winners will be notified through the SnapChat app. Promo runs February 8-14 2016. Click here for more info about this promotion.